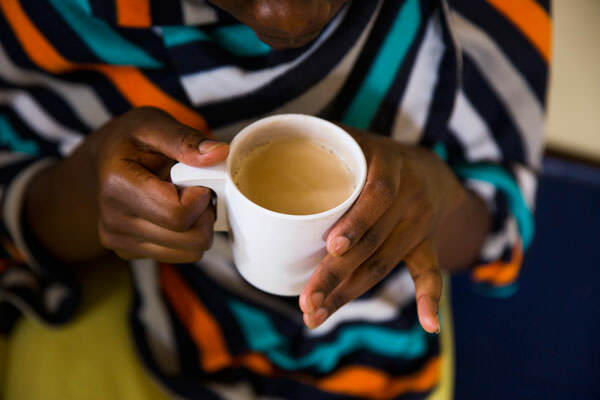 I wake up early and do chores before sitting down for breakfast of ugali [a stiff porridge made from maize] and milky tea with my housemates. We are all artists. 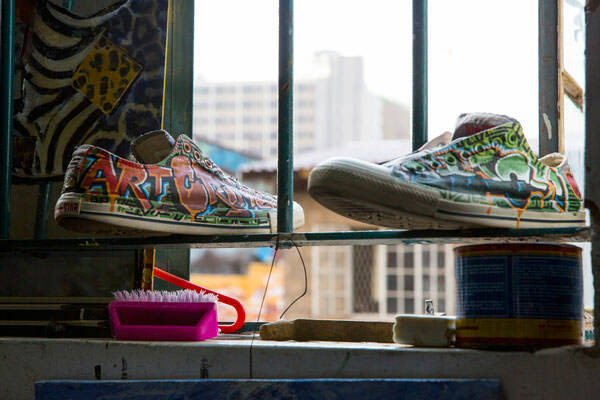 Joan makes art and clothes with recycled materials and Mbogo is a musician. Joan and I are planning a collaboration: a huge canvas that incorporates my portrait style as well as recycled materials such as plastic bags, tin cans and bottles. We live in the town of Ngong in a house surrounded by trees. I’m inspired by nature so it’s important to live somewhere peaceful and green. It’s a long commute to Nairobi, but worth the effort. When I started staying out late to do graffiti it created tension between my parents and me so I moved out. A few of my uncles are proud of me; I hope the rest of my family will come to terms with what I love doing. 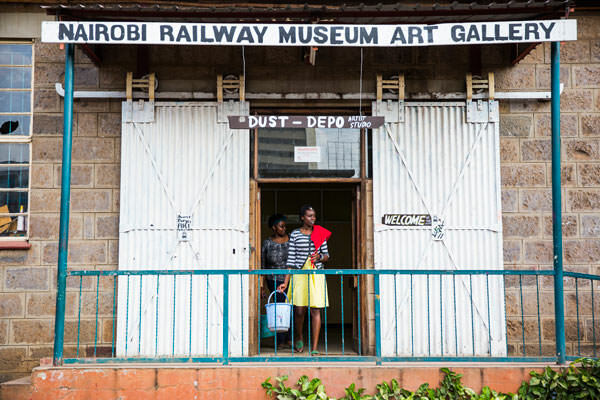 The Dust Depo is a studio for visual artists in the Nairobi Railway Museum where I come almost every day. 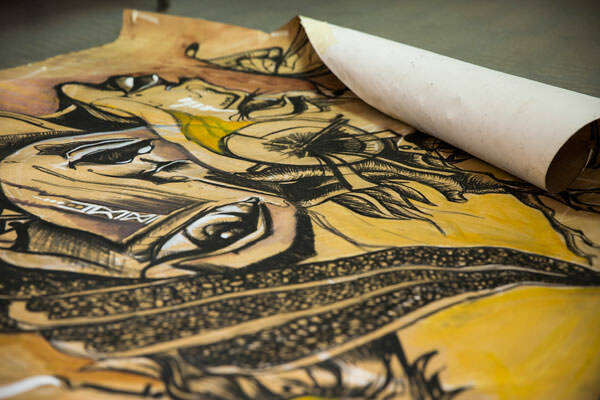 I might do graffiti, illustration or painting – it depends on my inspiration and materials. 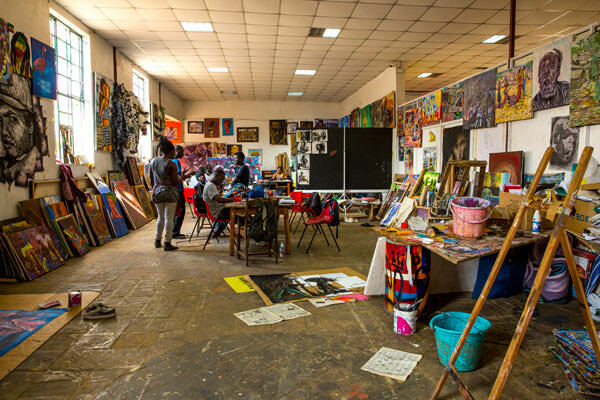 Artists can work, organise exhibitions and sell their designs here. I feel truly at home. The museum has given us a section of wall to do graffiti on. We painted a large mural for them in exchange. 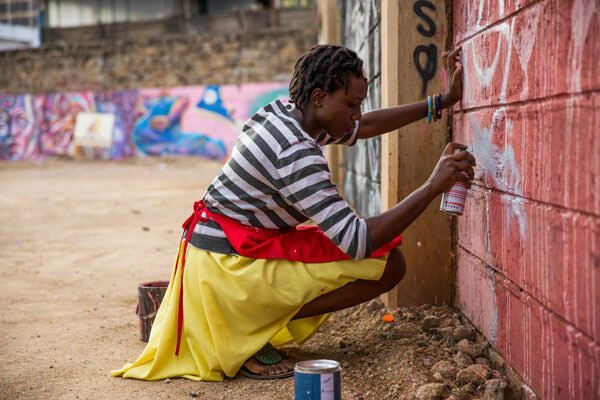 Since starting in 2013, I’ve been lucky enough to be mentored by some of Kenya’s best graffiti artists: Swift, Bankslave and Uhuru. I like to include Adinkra [west African] symbols in my work. They’re traditional, but are still used to this day. I don’t consider my work political but I do like to do graffiti in areas that may be considered poor or violent. I try to include anti-violence messages in my graffiti and make people feel valued. I’ve started taking some girls with me on projects so they can learn how to make an income from street art. Today, with the help of my mentee Dina, I’m priming a wall and spraying a simple sketch on to it. We’ll finish the piece tomorrow. I started taking animation classes last year. I was inspired by Sofles, a graffiti artist who brought his art to life by digitising it. I’m currently working on an animation called Sivana, inspired by one of my paintings. Sivana is a girl from a dream I had who taught me about wisdom and forgiveness and reminded me to love nature. I usually depict African women, showing their faces from the side. 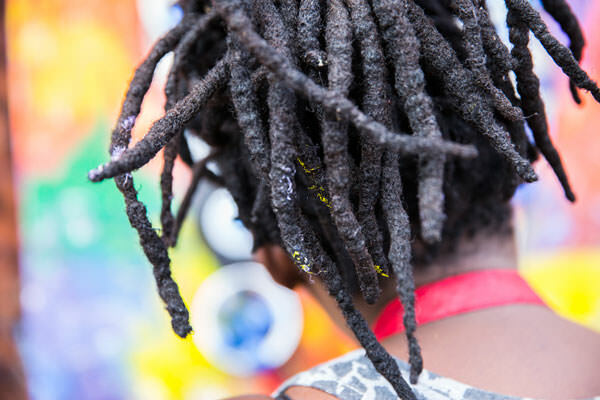 I love painting hair – especially afros and dreadlocks. To me, hair is like a crown that is bestowed on everyone. We should all have the freedom to do what we want with it. My painting, with its flowing lines and patterns inspired by nature, is similar to art nouveau but with very African characters. One of my favourite artists is Georgia O’Keeffe. I love the way she uses colour and form. Joan and I often work until late and we always go home together. I love working with communities because it gives me the opportunity to make an impact and communicate a positive message through art. Being a woman really helps in this sense. Other women from the community feel as if they can open up to me and talk to me about their issues. We believe that news can be beautiful. That’s why our magazine isn’t only intelligent but also exquisitely designed. And, Positive News is a carbon neutral magazine printed to high environmental standards, so you can read it guilt-free.